The sky over the Lake Lodge is ablaze- image courtesy of Tessa Macintosh. A sky full of greens and blues over Blachford Lake Lodge. The gorgeous Blachford Lake Lodge in the daytime. Watch as the sky catches on fire at Canada’s wonderful Blachford Lake Lodge. 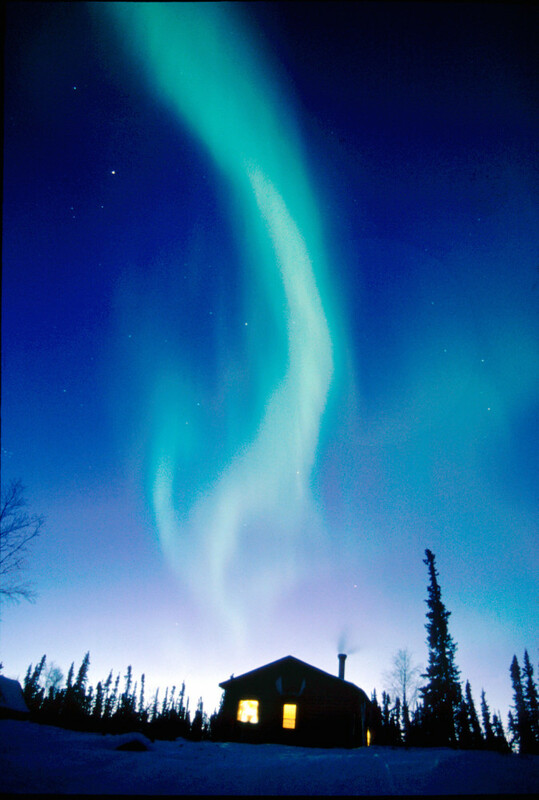 Standing in awe beneath the Aurora Borealis is one thing. Watching from the privacy of your own hot tub – with the nearest light pollution 100 kilometres away as the floatplane flies – is quite another. 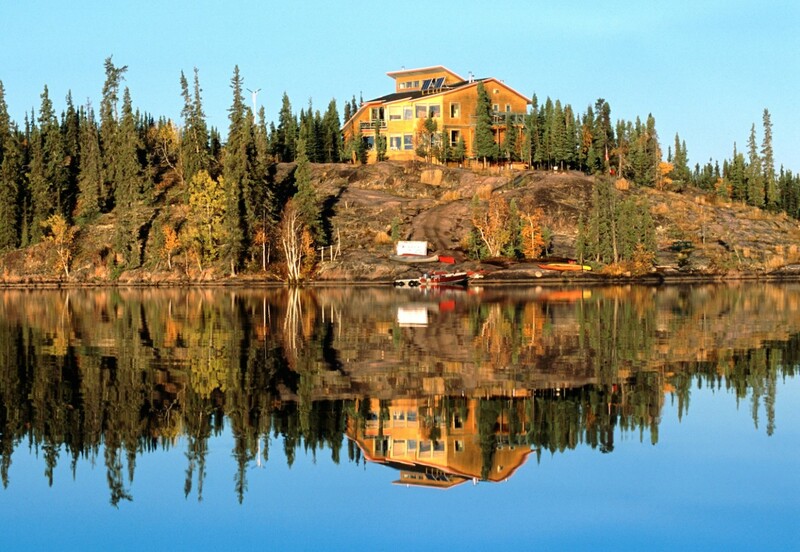 That’s the kind of experience you’re in for at Blachford Lake Lodge, perched atop a rocky outcrop overlooking a remote lake in the Northwest Territories. Despite being cut off from civilisation, the lodge, backed by its own solar generators, offers many luxuries. And while vast windows and expansive viewing decks make it clear where the star attraction is (just look up), there are also dogsled rides, snowmobiling, snowshoeing and cross-country skiing. You’ll pick up a few traditional ice fishing skills passed on by a local Dene Nation guide, before returning to your lodge for a delicious meal of the whitefish, trout or the northern pike you just helped to catch. Kate and Prince William stayed there and said they had a magical time. 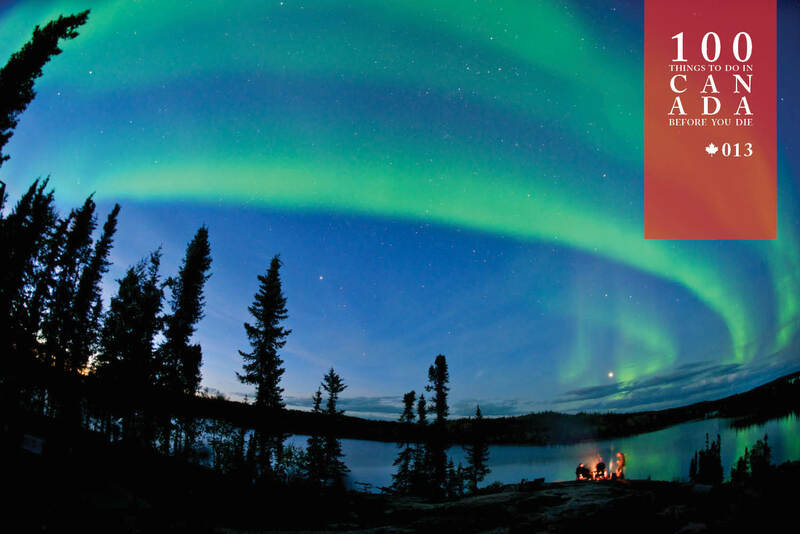 Settle in for an autumn (mid-August to October) or winter (late December to mid-April) stay at Blachford Lake Lodge with Adventure World. 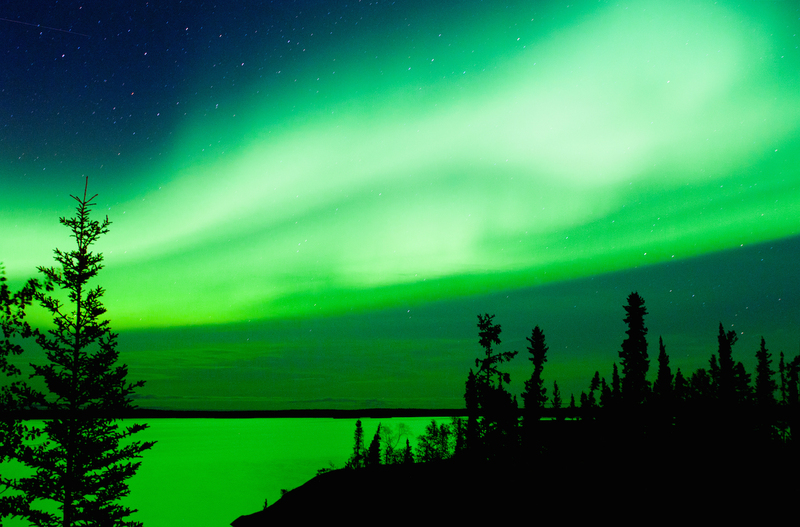 Catch a floatplane from Yellowknife Bay in the Northwest Territories. 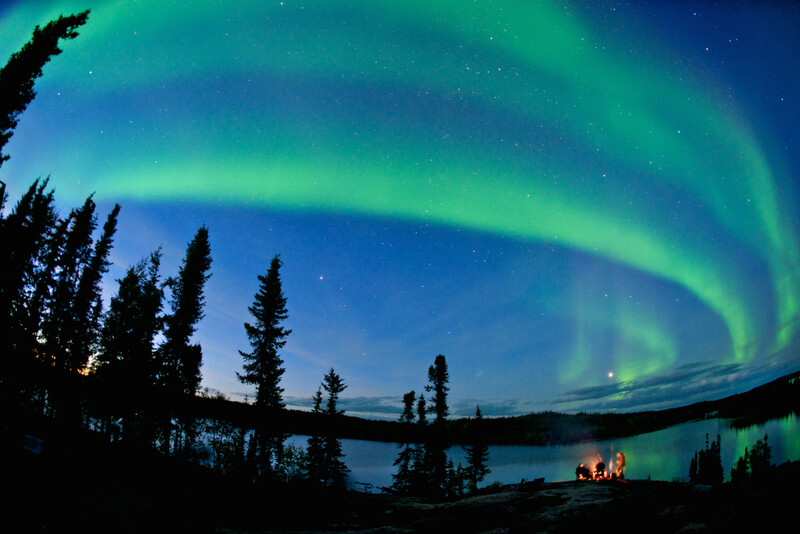 The lake is 100 kilometres south-east of Yellowknife.